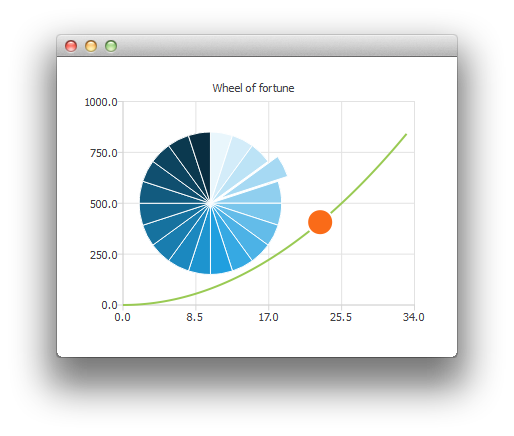 This example shows a wheel of fortune by customizing a pie series. First we create the ChartView and a couple of series. When the wheel of fortune has stopped, we make the active slice blink by modifying its colors.